Christin is a native of Fairmont and is a graduate of St. Francis University in Pennsylvania where she played basketball and earned a B.S. in Criminal Justice in 2006. She began her career at Academy Programs in 2007 as a Teacher-Counselor. 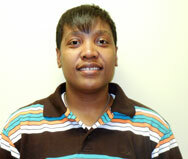 In 2008 Christin was promoted to Team Leader and played a vital role in guiding young Teacher-Counselors. In 2015, she was elevated to the position of Senior Program Director. Christin has been a lynchpin in the delivery of treatment services to at-risk children and families from the beginning of her time at Academy Programs.